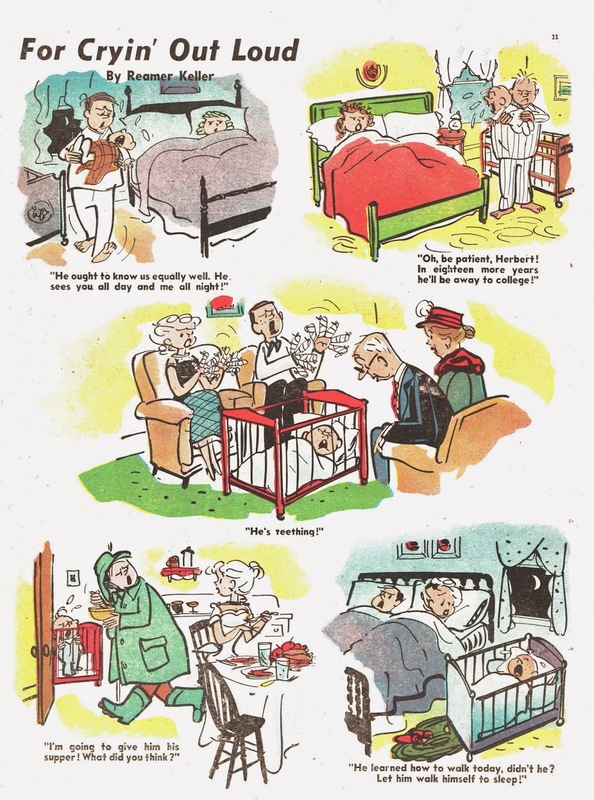 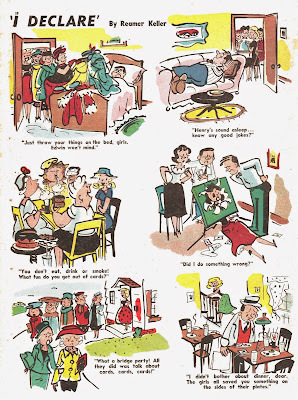 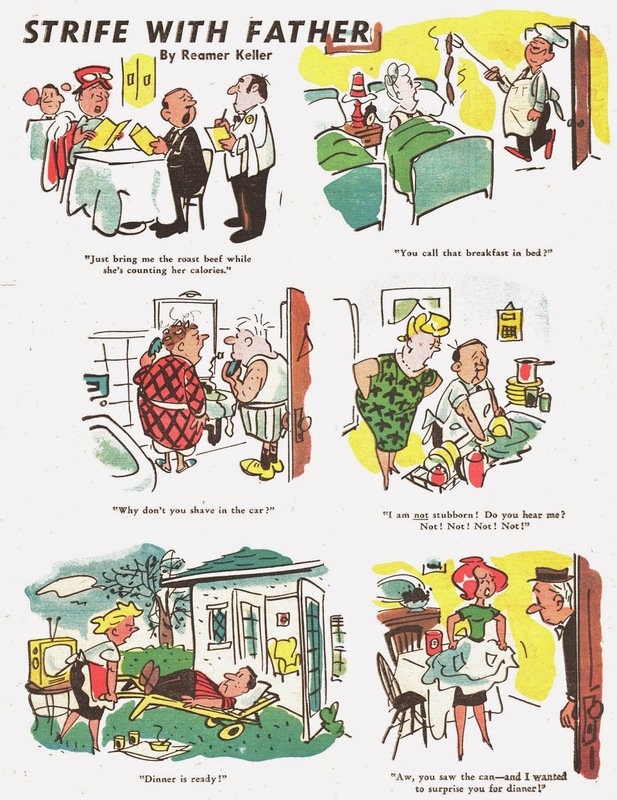 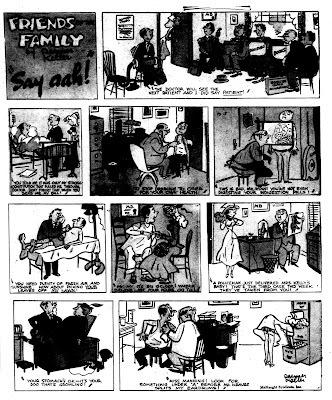 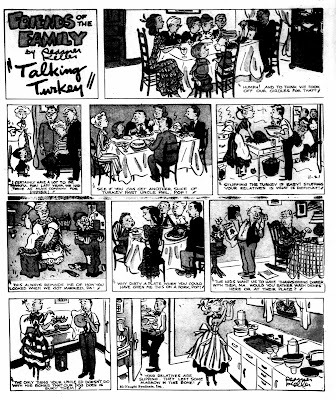 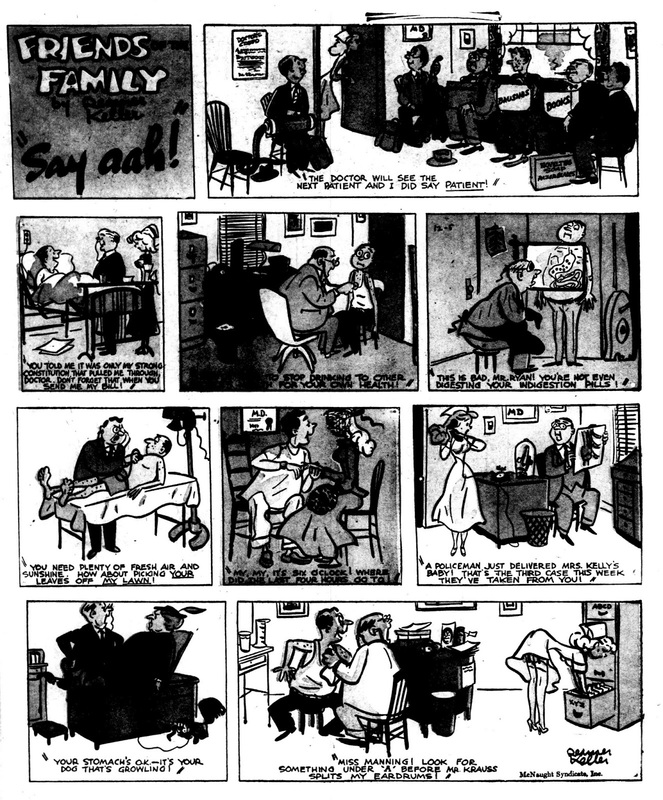 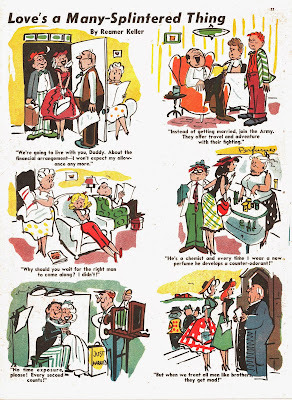 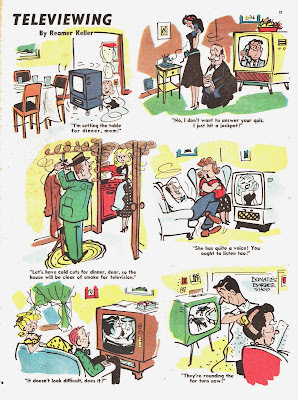 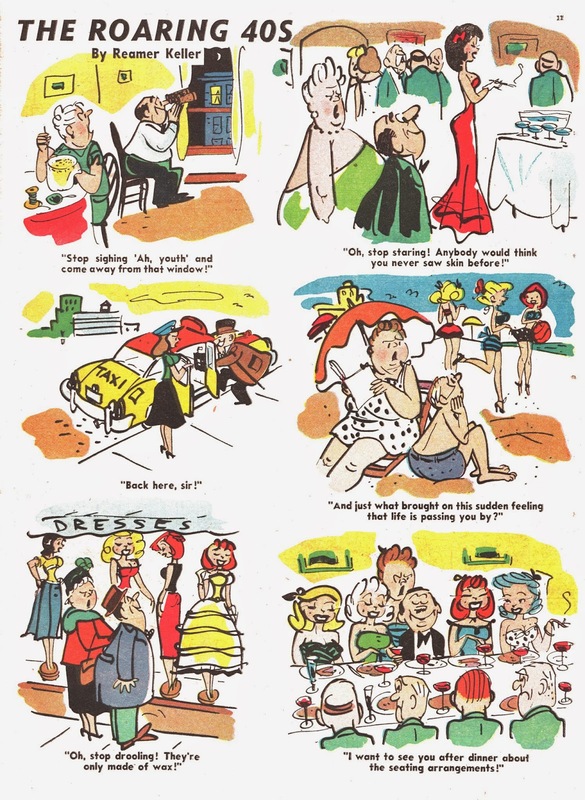 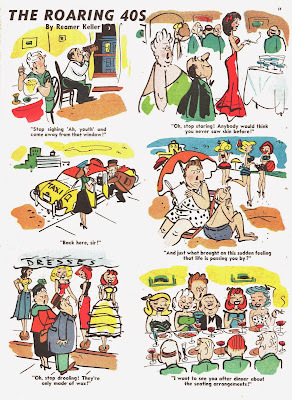 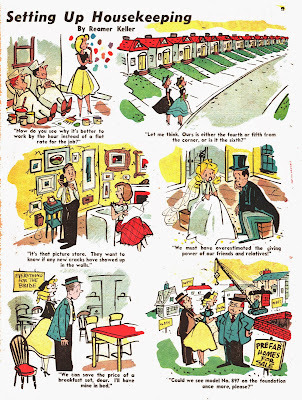 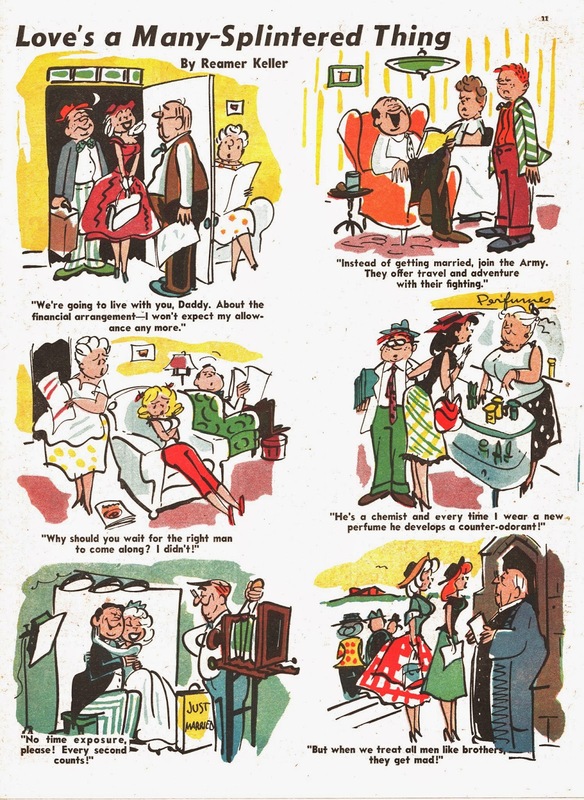 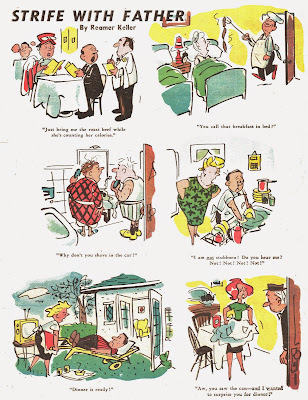 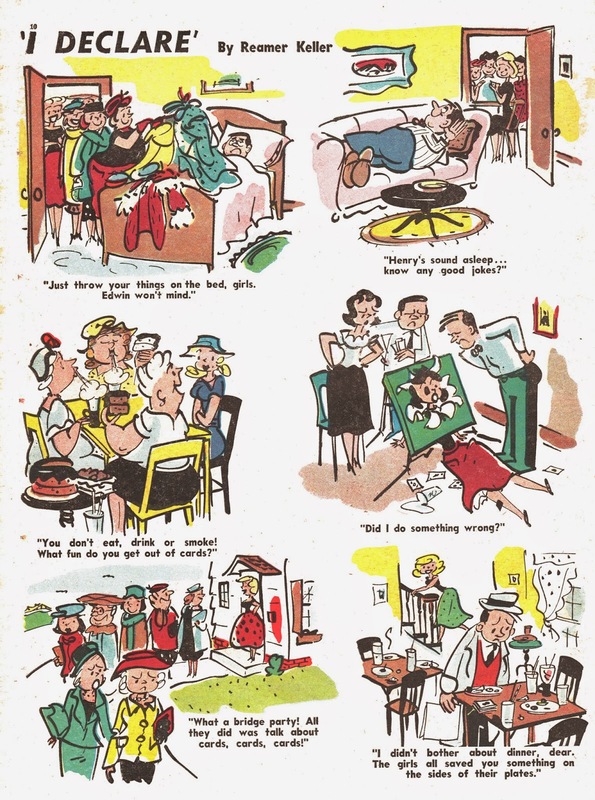 I came across a set of Sunday cartoon pages by Reamer Keller, which he did from October 1948 to April 1950. 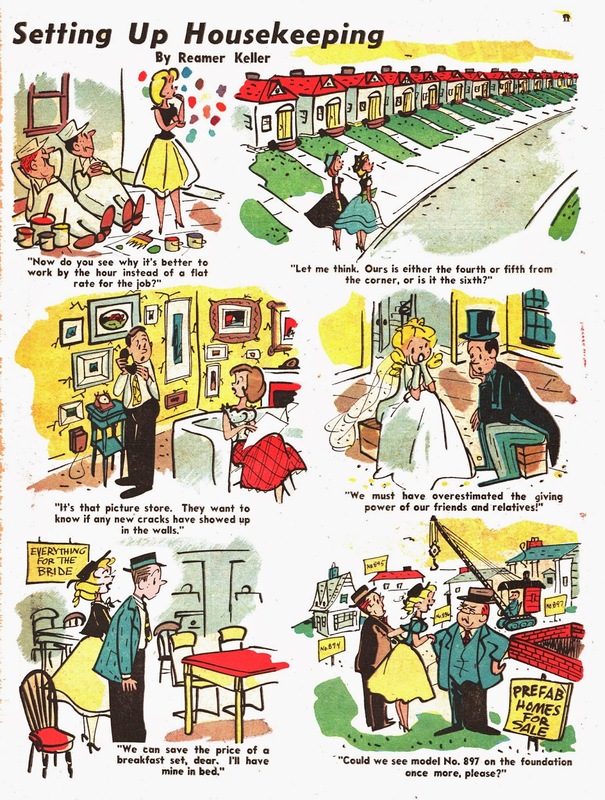 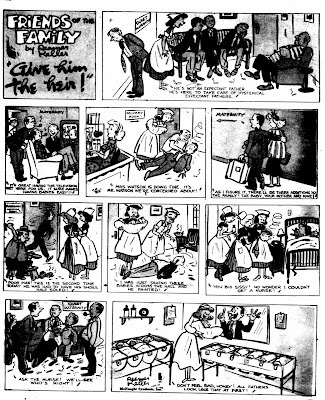 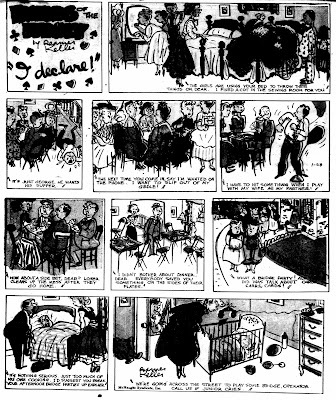 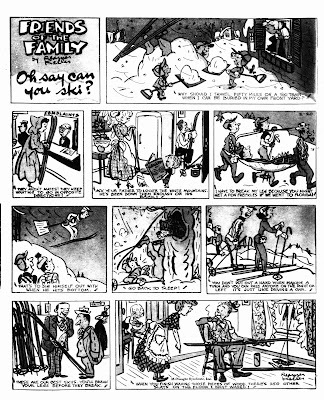 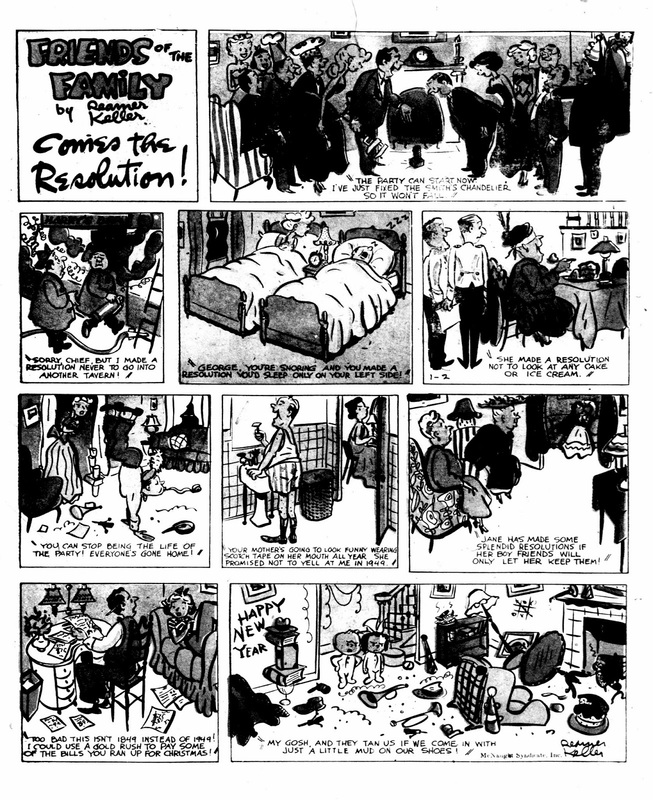 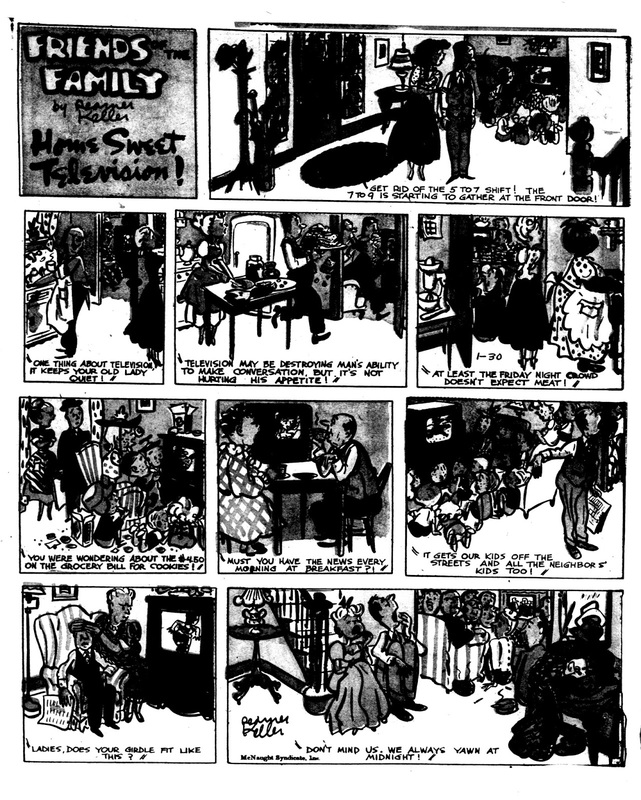 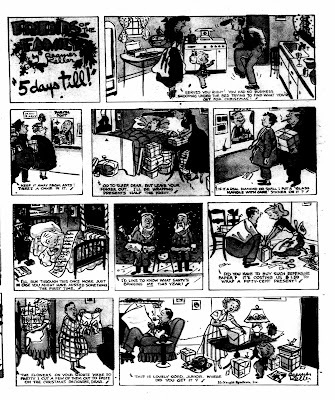 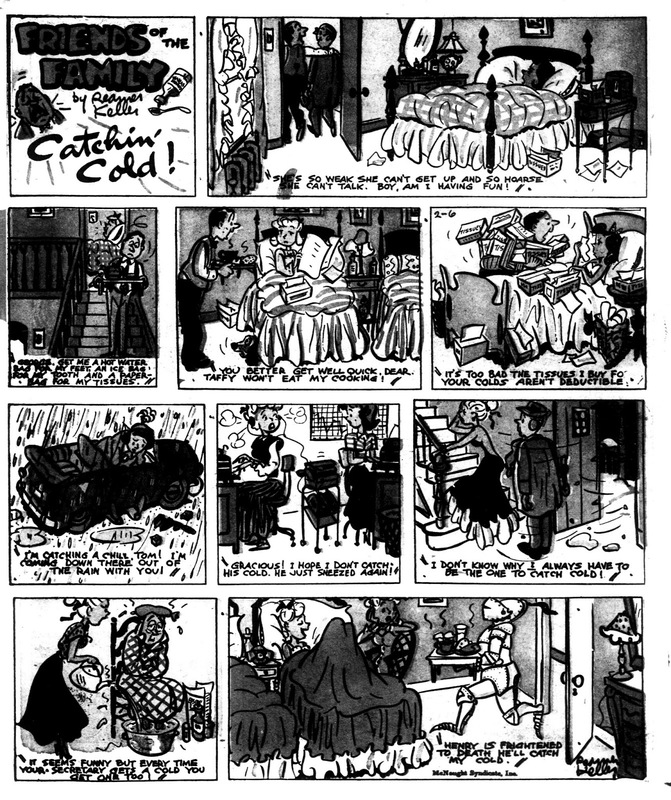 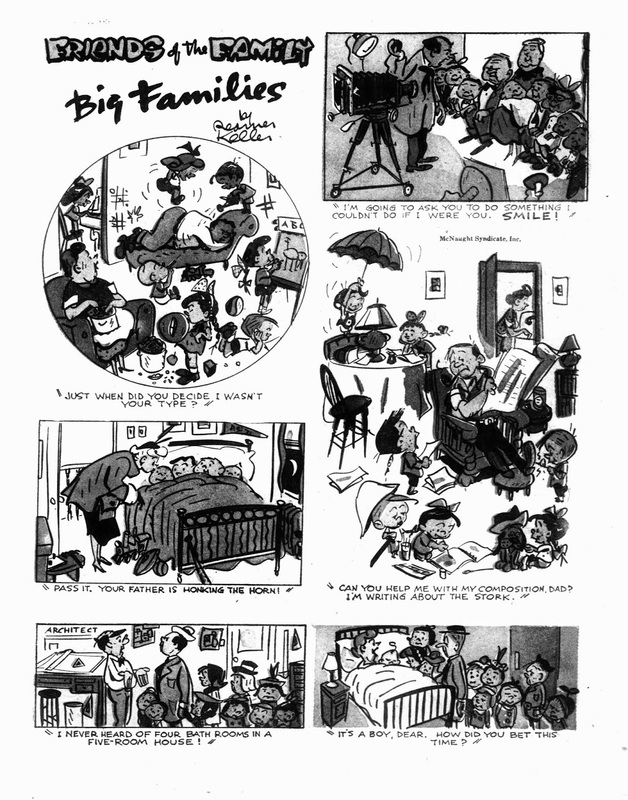 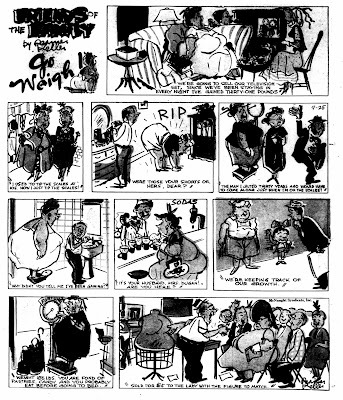 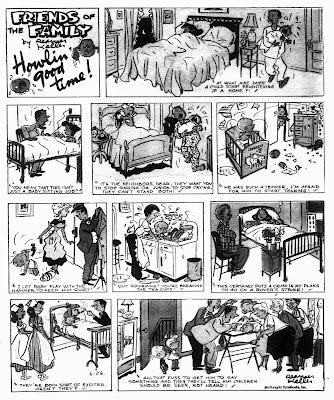 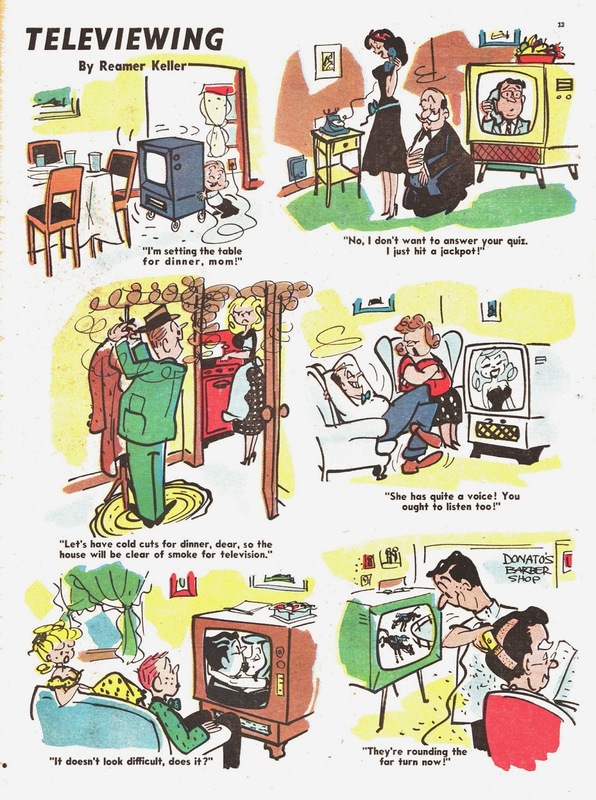 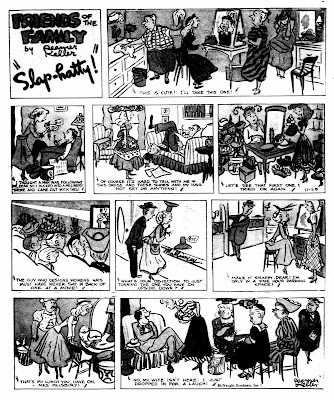 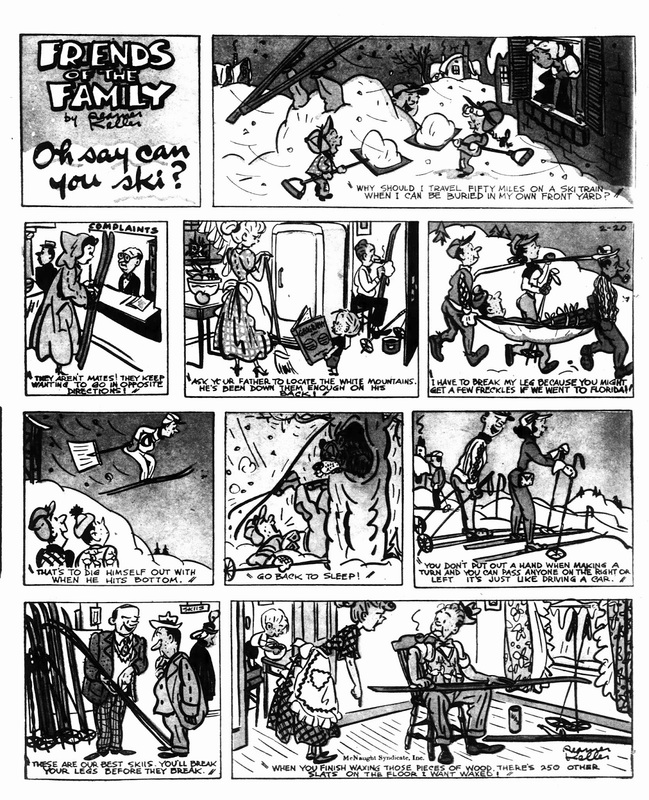 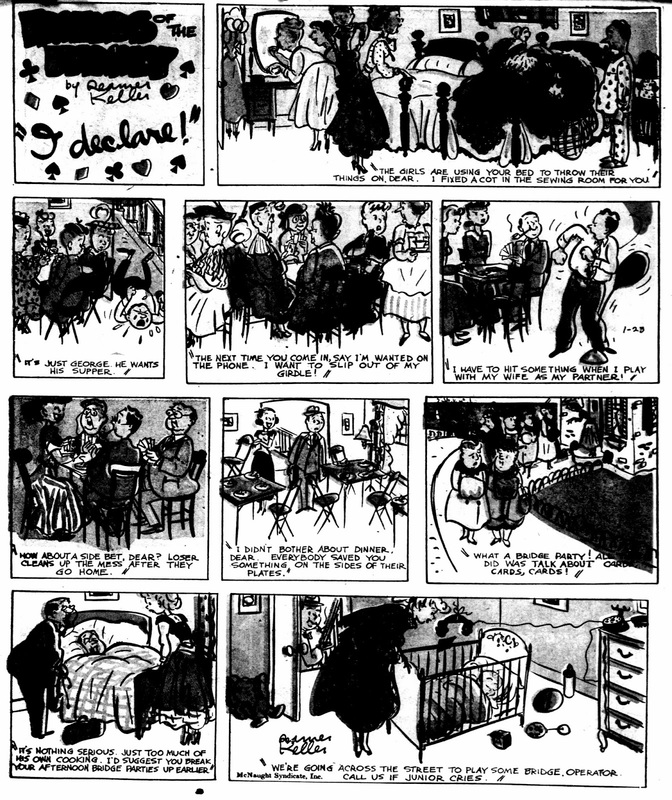 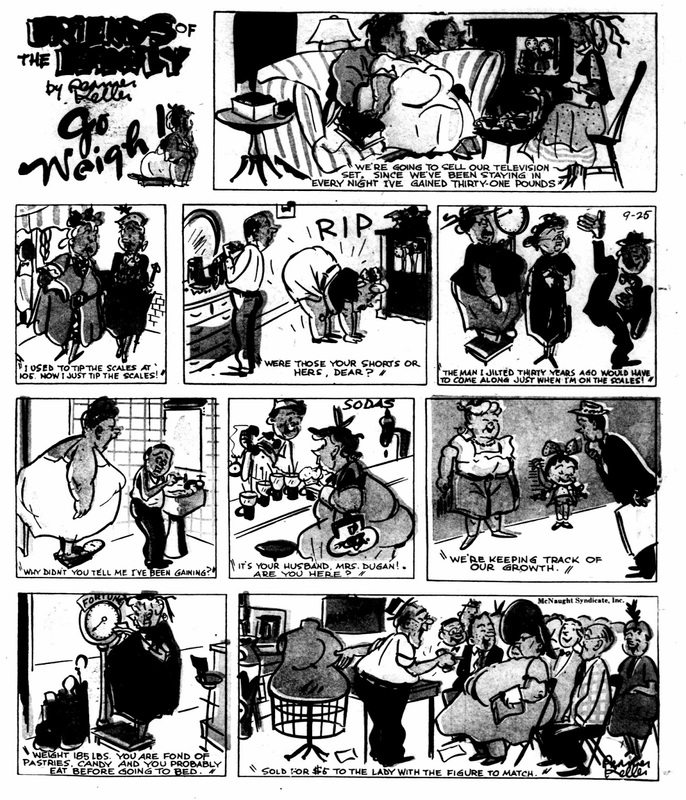 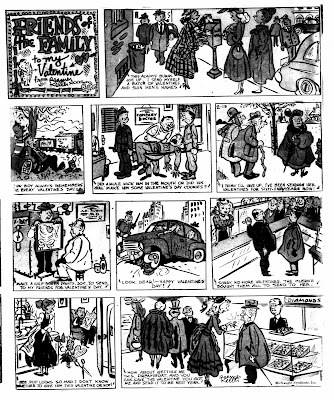 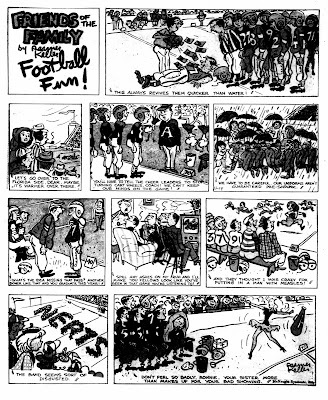 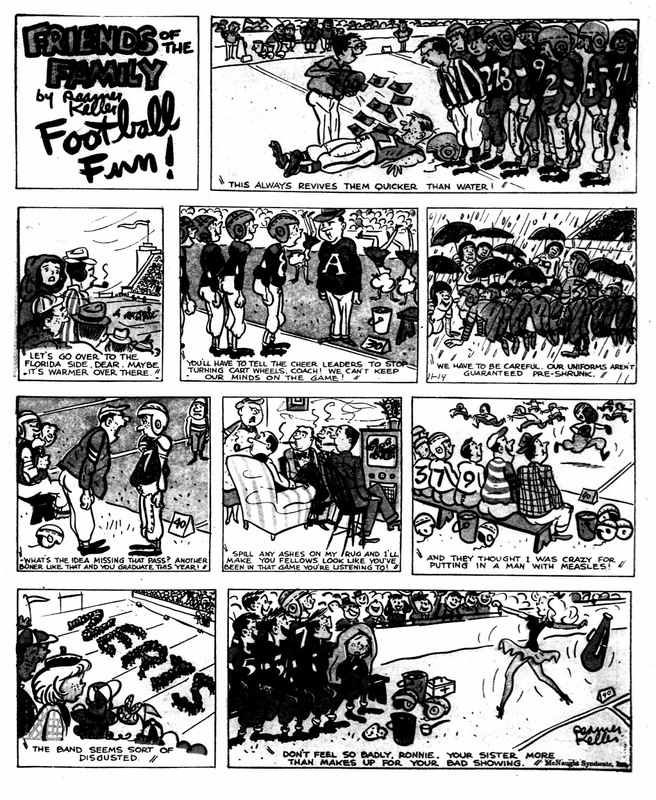 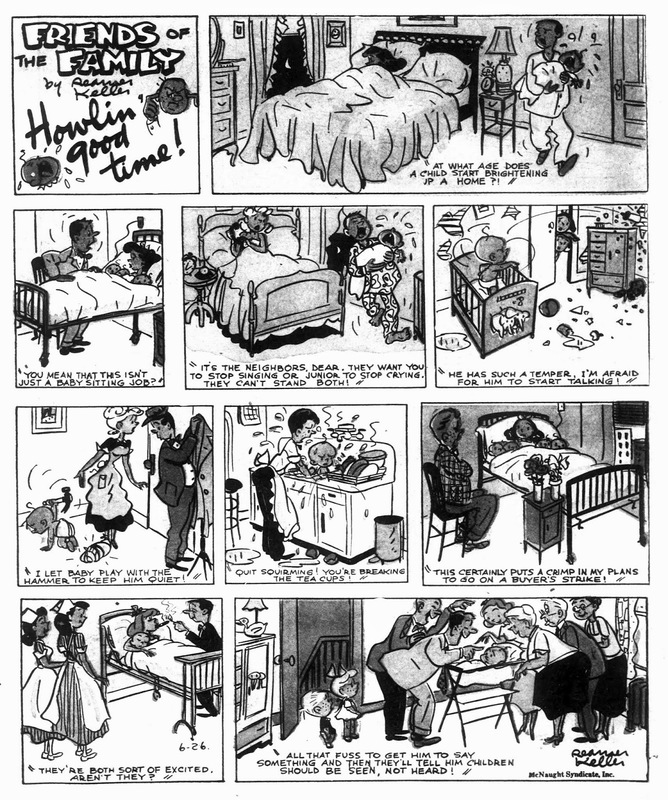 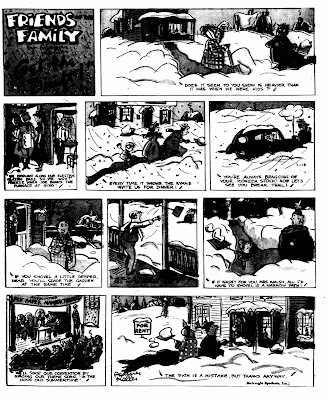 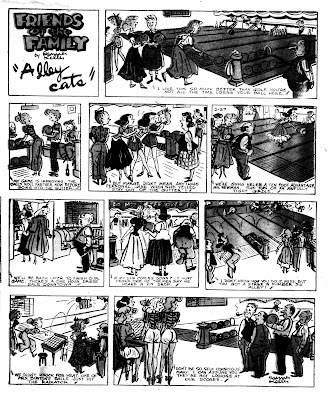 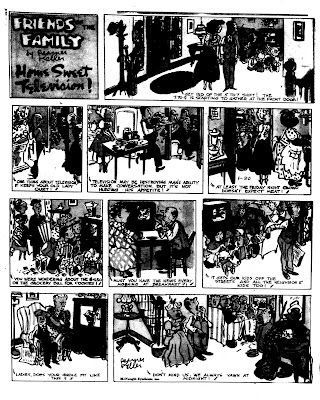 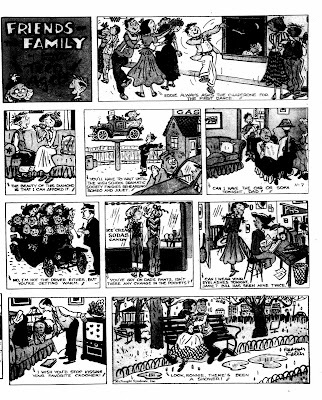 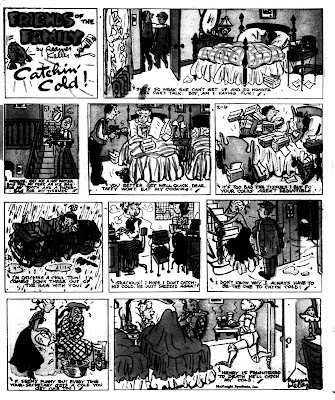 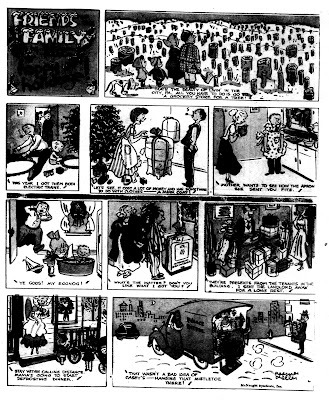 Each full tabloid page has about eight cartoons around a new theme. I tried to get some of the first and some of the last pages, when I remembered I had seen something similar in my original Sunday comics collection. 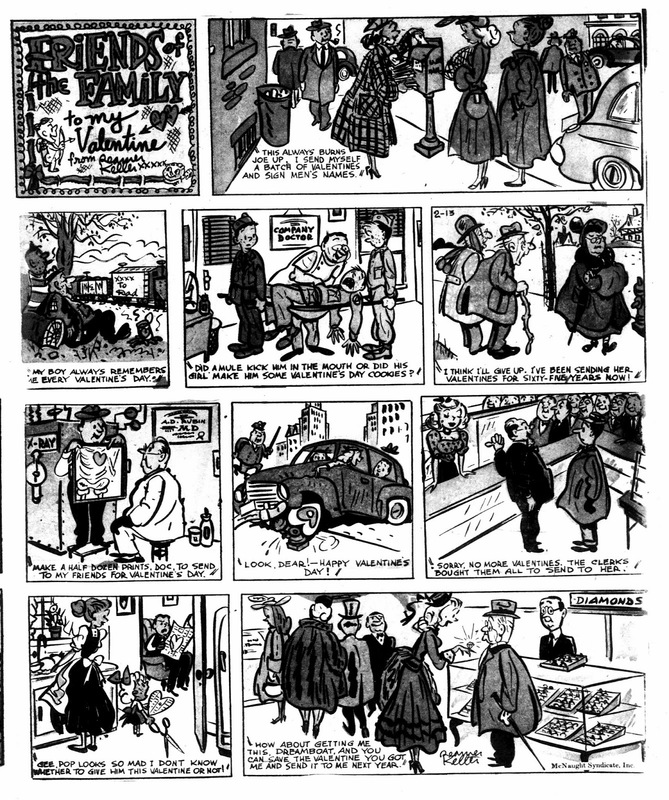 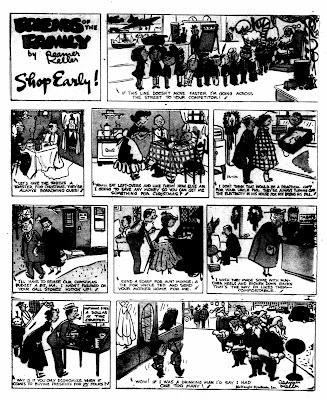 And indeed, Keller did a similar page in the New York News in the late fifties and early sixties. 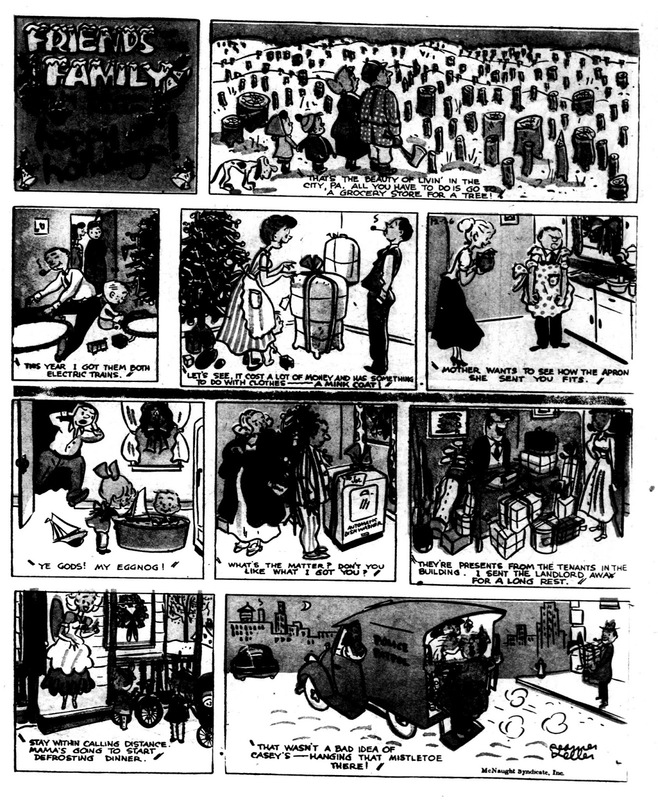 Like Bumper To Bumper and This Man's Army, it seems to have been an irregular feature, created by Keller especially for the New York News. 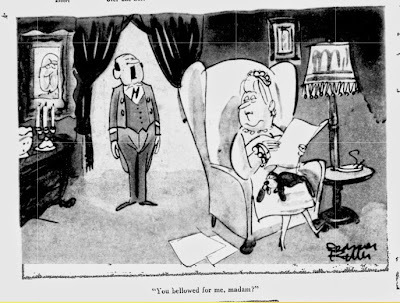 It's not in every isse, but it's also in no other paper. 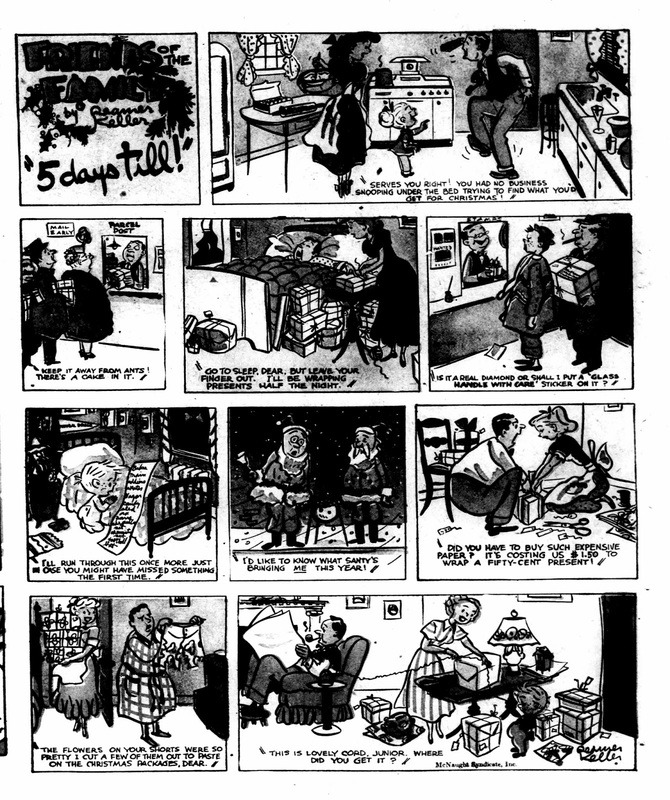 I had to go and scan the ones I have so I could add them to the black and white copies from the forties.